The San Juan Poly/Graphic Triennial: Latin America, and the Caribbean is the result of the various transformations of what was for more than 30 years one of the most important art events in the region: The San Juan Biennial of Latin American Graphic Art. 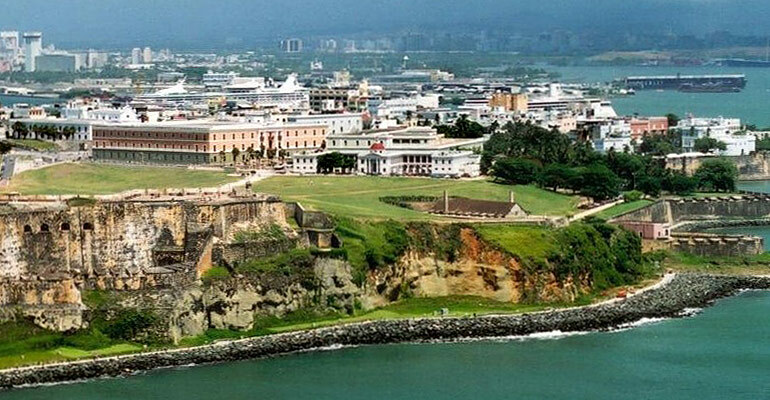 The First San Juan Biennial took place in 1970 under the patronage of the Institute of Puerto Rican Culture (ICP) at the Dominican Convent in Old San Juan. It counted with the collaboration of the Museum of Modern Art of New York and the Museo de Arte de Ponce. About 200 artists participated, and a retrospective exhibition of the Mexican master José Clemente Orozco was held as an homage event. In the year 2001, in accordance with the new practices and tendencies in contemporary graphic art of the last decade, the event was restructured giving way to the 1st Poly/Graphic Triennial. Created in 2003, the San Juan Poly/Graphic Triennial: Latin America, and the Caribbean became the official cultural event of the government of Puerto Rico, directed by the Institute of Puerto Rican Culture, and coordinated by its Fine Arts Program. As an artistic event of international character, it is meant to promote experimentation in the graphic arts, stimulating the combination of traditional printmaking and contemporary practices in accordance with a different curatorial subject matter each year. Conceived as a reformulation of the San Juan Biennial of the Graphic Arts, Trans/Migrations expands the idea of traditional printmaking to embrace the use of the contemporary graphic image. The conceptual currents of the seventies and technological advances such as printers, Xerox copiers, and computers transformed the graphic arts to the point of dematerializing the plate or block and minimizing the prominence of the maker’s mark. Simultaneously, the trans/migratory shift from Latin American countries to the United States altered relations between the Americas, creating the Newyorican, Chicano, and Latino communities. Therefore, the geographical context has been expanded to include these groups. The Triennial’s geopolitical context —Puerto Rico— makes it an ideal venue for exploring the complexity of interrelations between Latin America, the United States, and Puerto Rico. Curators: Adriano Pedrosa (chief curator), Jens Hoffman, Julieta González, and Beatriz Santiago. In a world in which digital technology dominates the visual and written culture, the second edition of the Poly/Graphic Triennial explores the most essential elements of the traditional graphic arts —paper as raw material and printing as the method for the creation of word and image— in their new experimental manifestations. Publications were the central elements for this Triennial. As a complement, solo shows were also held of artists whose work dealt with graphic design, printed material, and typography, combined with examples of works dealing with the themes of printed currency, newspapers, archives, flags, books, and objects. Curators: Deborah Cullen (chief curator), Antonio Sergio Bessa, Rebeca Noriega-Costas, and Ursula Dávila-Villa. The Hive —dedicated to Robert Blackburn, founder of The Printmaking Workshop in New York City— was conceived in the light of the social changes that permeated modern art and marked the beginnings of the 21st century. The central concept of this Triennial centered on the hive as an analogy for the collective nature of creative work in the graphic arts. As an integral element of that premise, the communitarian aspect of the work was incorporated via activities and the integration of distinct cultural sectors. The inclusion of several collectives underscored the importance of the “workshop” as a creative “contact zone.” This space, in turn, serves as a platform for stimulating dialogue and thought, which leads to further social transformations. Curators: Gerardo Mosquera (chief curator), Alexia Tala, and Vanessa Hernández Gracia.